Time to REALLY practice your ‘staying healthy protocols’. But there are other things to add to this. If you are a normal healthy person with no pre-existing conditions you could also begin to add either Kola Nut tincture or Japanesse Knotweed tincture. Both of these have highly active compounds that viruses of all sorts do not like. 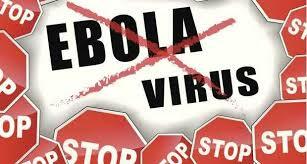 A recent paper was presented in St.Louis, Missouri speaking about Kola Nut extract and Ebola. 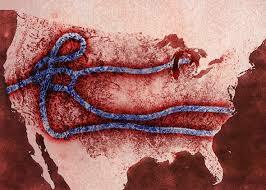 Sam Coffman over at the Herbal Medic speaks about Japanesse Knotweed and Ebola. I would like to make 2 notes here. Kola Nut contains natural caffeine and would not be suggested for those with high blood pressure or anyone sensitive to caffeine. Japanesse Knotweed must be used sparingly as overuse can cause bowel bleeding in some individuals and must NOT be used in individuals prone to bleeding or suspected of having Ebola. For more information on viruses, herbs and tinctures please visit here. 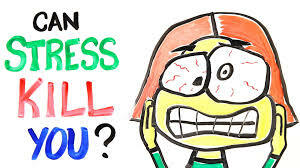 Stress and Infectious Diseases: STOP THE STRESS!!! We have one great defensive team to protect ourselves in this world full of germs, viruses and bacteria our immune system. We are born with it and while not perfect, it keeps us alive in most cases if we ‘catch’ something and it has a great memory for prior foreign invaders. Our immune system is what keeps us from having to live a sterile environment and it’s in our best interest to keep our immune system strong so that when some invaders comes a knockin’ we have a fighting chance to live. I would hazard to guess that most people don’t even THINK about their immune system and what would happen if it went bye-bye or was seriously compromised. Day in and day out we go about our lives full of stress and surrounded by germs. So, in this day and age when we typically don’t eat right, sit around a lot and stress out about everything and ding our immune systems with literally hundreds of different chemicals everyday what can we do to support our immune system? Fight STRESS!!! The fight-or-flight response (short-term stress) goes something like this: When a villager in Africa sees a lion charging at him, for example, the brain sends a signal to the adrenal gland to create hormones called cortisol and adrenaline, which have many different effects on the body, from increasing heart rate and breathing to dilating blood vessels so that blood can flow quickly to the muscles in the legs. Besides helping him run away, this type of acute stress also boosts the immune response for three to five days (presumably to help him heal after the lion takes a swipe at him). When humans experience stress, our bodies react the same way that animals’ bodies do. Once the lion is gone, a zebra or gazelle’s stress level will return to normal, but humans have more trouble getting back to our routines after a stressful event, whether it’s a car accident or a divorce. We’ll think about it, dream about it, and worry about it for a long time, and that sets us up for long-term problems, says Robert M. Sapolsky, a Stanford University stress expert and author of Why Zebras Don’t Get Ulcers. Over time, continually activating the stress response may interfere with the immune system. How this affects your disease risk, Sapolsky suggests, depends partly on your risk factors and your lifestyle, including your degree of social support. A number of vaccine studies have also found that the immune system of highly stressed individuals have sluggish responses to challenges. In one study, published in the journal Psychosomatic Medicine, a pneumonia vaccine was administered to 52 older adults, including 11 people caring for spouses with dementia. After just six months, the levels of antibodies produced against pneumonia in the caregivers had dropped off, while the non-caregivers’ levels remained stable. A similar study in which 32 caregivers were given the flu shot also found that caregivers received less protection from the vaccine than did a control group of non-caregivers. If you’re stressed out, you’re more likely to get sick — at least it seems that way. A study in the New England Journal of Medicine actually found that higher psychological stress levels resulted in a higher likelihood of catching the common cold. The researchers accounted for many variables — including the season; alcohol use; quality of diet, exercise, and sleep; and levels of antibodies before exposure to the virus — and concluded that higher stress was to blame for lowered immunity and higher infection rates. In the meantime, there is enough evidence to convince us that we should find healthy ways to keep our stress levels down, which is advice we got from our grandmothers: Eat right, exercise, and get enough sleep. An immune system that is continually ‘working, working, working’ never gets a chance to recover so when challenged by an invader it cannot mount an adequate defense. Learn to manage your stress! Stressful events are a fact of life and they can be even little ones like too much noise or activity going on around you. You can learn to identify what stresses you and how to take care of yourself physically and emotionally in the face of stressful situations. Learn to UNWIND in a healthy way. Learn to say no! Set yourself realistic expectations and learn how to say “no” when your workload or social and family commitments get too much. Learn to switch off. Leaving the office for the day? Then it’s time to switch off your work brain as well as your mobile phone. Unless you need to be on call for work, there’s rarely anything that can’t be solved the next day with renewed perspective. Breathe! When we’re stressed, we tend to shallow breathe. Try to take deeper breaths into your diaphragm. The body expends a great amount of energy keeping itself in a heightened state of readiness. When weakened by prolonged stress–be it caused by lack of sleep, poor diet, chemical toxins in the environment or mental assaults–the body’s ability to maintain homeostasis can be compromised, and illness can result. Adaptogenic herbs have traditionally helped prevent the imbalances that can result from stress and have therefore prevented or minimized disease. At the core of an adaptogen’s scope of actions is the ability to help the body cope more effectively with stress. Specifically, adaptogens recharge the adrenal glands, which are the body’s nominal mechanism for responding to stress and emotional changes. The adrenals, which cover the upper surface of each kidney, synthesize and store dopamine, norepinephrine and epinephrine. These compounds are responsible for the changes that occur during the fight-or-flight reaction. And while mushrooms are not technically herbs Reishi, shiitake, maitake mushrooms have been shown to have adaptogen properties also. According to Claire Zarb LCPH it’s advisable to start with a 30c potency and take every hour or so when the feelings of stress are at their peak. Ideal for treating anxiety, caused by the anticipation of a big event, such as an exam, party or public speaking event. Dizziness and diarrhea may also be experienced, especially in the morning. People who need this remedy are often enthusiastic and suggestible, with a tendency towards being quite impulsive. They often crave sweets which usually make their symptoms worse. When a dull, heavy, but restless, weariness dominates you, think of Gelsemium. A dose before an exam or interview can keep your mind from drawing a blank. Heavy fatigue with muscular weakness means it’s great for flu, restless colds, diarrhea and dull, pressing headaches. This can be a very steadying remedy, especially to quiet, often low-spirited people who dread public speaking. This remedy’s reputation is based on its ability to treat modern day complaints of indigestion, intoxication, and stress. Nux Vomica acts to neutralize both the effect of stress on the mind, and excess intake of food, alcohol and drugs on the digestive system. Nux Vomica offers comfort when travel, hangovers, busy schedules, overwork, or late night meals cause digestive and mental distress. Ideal if you’re a ‘workaholic’ who is easily irritable and tired. Ideal for nerves and indecision and especially good if you worry a lot and battle with self-confidence (too much and too little!). Digestively, it applies to acidity, gas, bloating, colic and constipation. There may be a fear of change, irritability, obstinacy, stage fright and exam nerves. And don’t forget the Food! 1. Spinach contains magnesium, which helps improve your body’s response to stress and may prevent migraine headaches. 2. Asparagus is a good source of folic acid, which produces serotonin and helps stabilize mood. 3. Beef helps stabilize mood by supplying zinc, iron, and B vitamins. 4. Dairy products such as milk and cottage cheese provide protein and calcium. 5. Nuts and seeds are good stress-fighting snacks. In addition to containing vitamin B12, magnesium, and zinc, almonds also provide vitamin E, which, like vitamin C, fights stress-related free radicals that cause heart disease. Walnuts and pistachios are known to lower blood pressure. Sunflower seeds include folate, which helps produce dopamine, a pleasure-inducing brain chemical. 6. Fruits such as oranges and blueberries contain vitamin C, which fights cancer-causing free radicals. Blueberries also counteract the effect of hormones such as cortisol, and bananas provide potassium, which lowers blood pressure. 7. Fish containing omega-3 fatty acids, such as salmon, can boost serotonin levels and limit the production of anxiety hormones such as adrenaline and cortisol. 8. Avocados are a good source of monounsaturated fat and potassium, which lower blood pressure. 9. Milk, including skim milk, is high in antioxidants and vitamins B2 and B12 and also provides protein and calcium, which can reduce muscle spasms and tension and soothe PMS. 10. Crispy rice cereal or corn flakes aren’t necessarily low in sugar; however, they offer B vitamins and folic acid, which reduce stress. Have a bowl of whole-grain cereal with milk for a stress-fighting breakfast. 1. Caffeine, found in coffee, tea, soda, and chocolate, can cause anxiety and raise stress hormone levels. 2. Sugar causes spikes in blood glucose levels and increases insulin. This affects your adrenal glands, which regulate stress hormones and help the thyroid regulate body weight. 3. Trans fatty acids such as hydrogenated vegetable oil are found in many baked goods and can hinder the immune system and increase the risk of heart disease. 4. Alcohol puts more sugar in the body, and excessive consumption can damage the adrenal glands. While stress is just one factor in keeping the immune system healthy you can see that there are ways of helping the body to defend itself against stress and boost our body’s resiliency against stress. So get moving, eat ‘right’ and get your SLEEP and don’t forget to add homeopathy and herbs into your life to LIVE! Your immune system will love you!